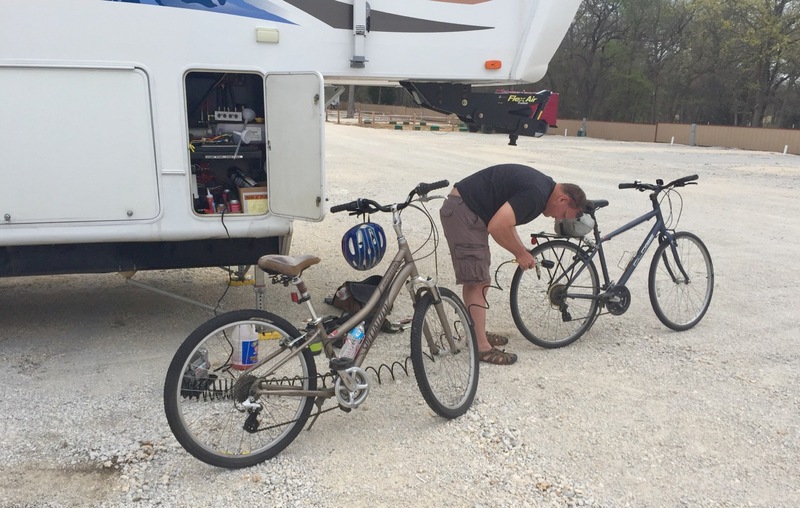 RV Travels: 13 Ways You Know You’re in a Small Texas Town – Own Less. Do More. 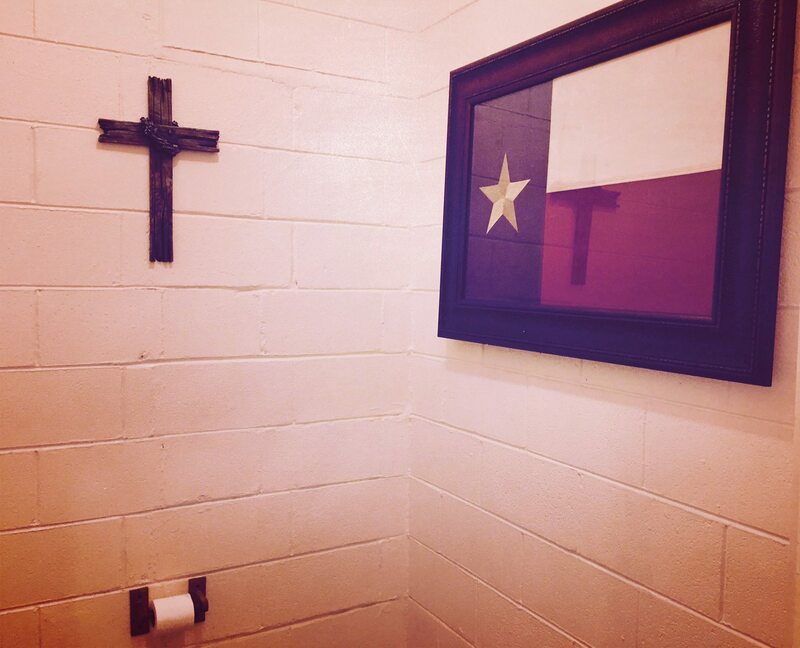 I have spent almost ten years of my life living in Texas: a four-year stint in college, and nearly six years in my 40’s, due to a military move. My parents, my brother, and his family have lived there for more than two decades, so we’ve visited a lot too. Plus, although we spend most of the year traveling, San Antonio is still our home base, and our younger son is a second-year physics and math major right up the highway at UT-Austin. That’s my way of telling you that when it comes to small towns in Texas, I’ve got some familiarity. And after a truck breakdown left us stranded in one of them for two weeks earlier this year, I became an expert on observing the endearing quirks that make these places special. 1. The local tow truck driver doubles back after spotting you on the side of the highway with your hazard lights blinking, figuring you’re going to be his next call anyway. And he is correct. If you’re gonna travel in an RV, get the best roadside assistance plan you can afford. 2. The RV park your 5th wheel is towed to is so new that nobody at the service shop knows the name of it, but they know exactly where it is and that it’s open for business. The Wagon Yard RV park was nothing fancy, but wow, were we ever glad to have it! 3. You are very thankful that the RV park is new and unheard of because that means it has space available during spring break week in Texas. Every public grade school and university in the state gets the same week off for spring break, which makes last-minute lodging arrangements nearly impossible to obtain. 4. You become celebrities in the grocery store because you got there on bicycles instead of in a pickup truck. The clerk, upon hearing that our truck was in the shop, felt so sorry for us that she even helped load the groceries into our backpacks. Of course we were all ready to go when we discovered the tires were flat. 5. All heads turn when someone walks through the door of the dinette. 6. And when that someone is a big ol’ farmer wearing denim overalls and work boots, the waitress greets him with a smile and a 2-syllable “Hey,” to which the farmer replies simply, “Sweet tea.” And the waitress sets it on the table by the time his fanny hits the chair. 8. Other than the dinette mentioned above, socializing occurs in one of two places: under the Friday night lights or in the Sunday morning pews. 9. You’re never allowed to forget which state you’re in here. Never. Not even in the bathroom. 10. 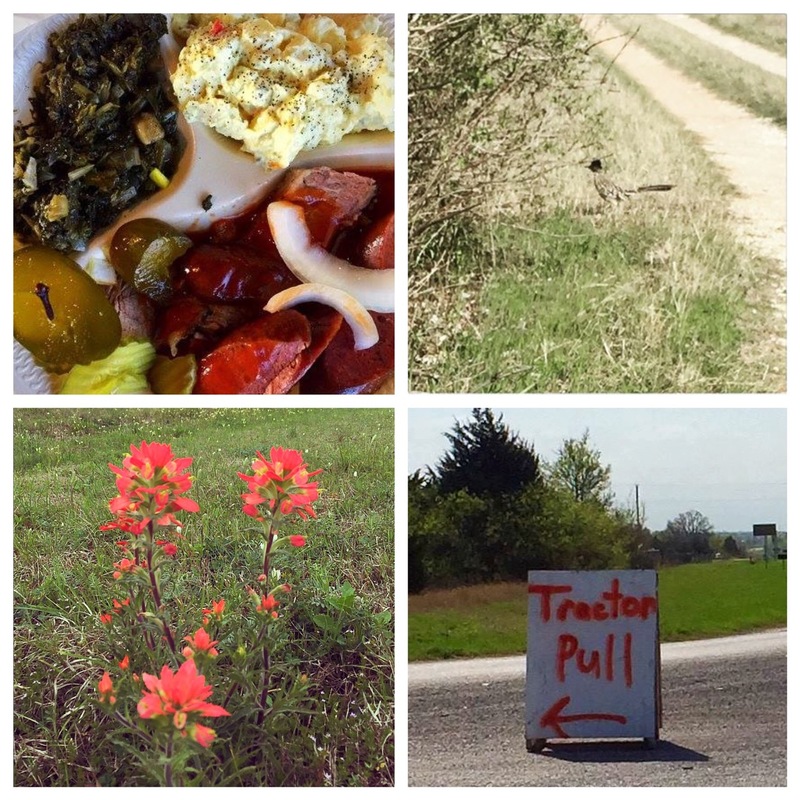 Your camera roll boasts photos of a BBQ plate, wildflowers, a road runner, and a spray-painted sign for a tractor pull — all from the same day. 11. And the tractor pull causes a significant uptick in traffic. 12. 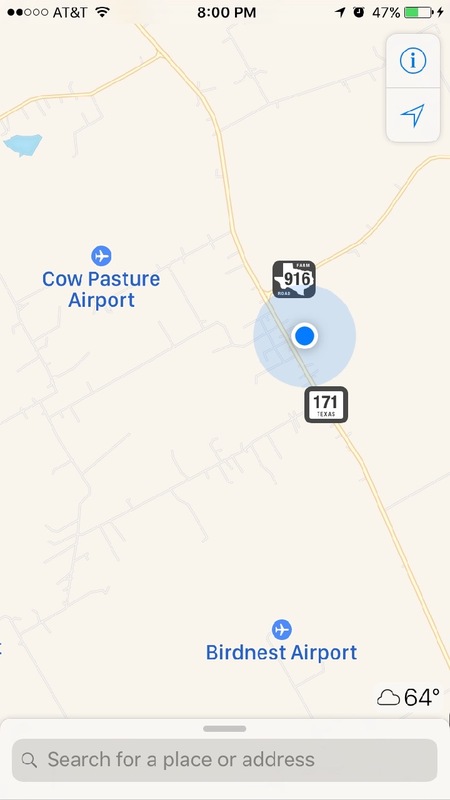 Being located right between two airports means nothing, as the options lack anything resembling a terminal or even planes. They are grass strips suitable for landing crop dusters, and there are cows grazing on them. Someone out there in the country has a good sense of humor. 13. Related: more of your neighbors have four legs than two. The RV park where we stayed for that little “detour” was in fact 8 miles from one small town we visited (Grandview), and 10 miles from the other (Cleburne). Of all the places for the truck to break down? That was the middle-of-nowheriest. I am thankful small town Texas still exists (& small town USA for that matter) and the 13 ways to recognize that ‘you have arrived’. I guess what I mean to say: God Bless Small Towns & the Folks That Live There! I agree wholeheartedly. I grew up in a small Maryland town, and could say many of these same things about it. Beautiful area! I’ve driven through there several times for various reasons but mainly for Antique Alley (which causes much more than a significant uptick in traffic). I can’t imagine navigating on bikes for two weeks but I know the locals took good care of you. Hope you were sent to Burgundy Pasture Beef for your meat and eggs. We used to drive to Grandview once a month for pasture raised beef, chicken and pork. They finally heard the plea and opened a store in Fort Worth. Wow. Sounds like we missed a lot! Didn’t know about Antique Alley or Burgundy Pasture Beef. As it turned out, we were able to get a loaner car from the service shop on Day 4, and that helped tremendously!